We received a few messages yesterday requesting we stay "provocative and edgy", now that we've declared that we should be taken seriously as a cohesive group of professional analysts. An event resulting in great loss or misfortune. That’s how Webster defines catastrophe. In the world of outsourcing, the stories of catastrophe are legendary, and the statistics on how often it occurs are not very reassuring. What is it about the strategic services sourcing space that makes it so prone to issues? Even if things don’t end in public catastrophe, the stories of mutual success are just not that numerous. The question remains: how does one avoid catastrophe? To use Six Sigma jargon, my own analysis tells me there are a “vital few” contributors to catastrophe. When I analyze the laundry list of visible symptoms of outsourcing catastrophes, I keep coming back to two root causes. Not surprisingly, these same factors, when included in the process, are often the elements that advantage an outsourcing relationship for success. So what are they? When working with organizations contemplating outsourcing, I can - and do - spend hours talking about each one of these six business objectives, and how they can be possible motivators in a decision to outsource. Too often though, organizations turn to outsourcing without doing the essential diligence of first establishing the business or functional strategy that brings the right blend of the six potential business benefits of outsourcing into clear focus. That results in misalignment of the sourcing relationship with the business objective and strategy. There are specific and different ways of implementing an outsourcing deal to meet different business objectives. If the specific outsourcing methods and structures are not constantly realigned through the sourcing process, then when the organization strikes a deal, the business objectives have a tendency to be reduced to one: cost. Don’t get me wrong. Everyone loves to save some money, and often the misalignment isn’t felt for the first couple of years. Striking a deal that optimizes cost generally sub-optimizes other aspects. As I like to say, you can have speed, quality or cost; pick any two. This principle applies to the balancing of business objectives in an outsourcing relationship as well. To illustrate the point, a study was released last year showing that more than half of the largest 2000 companies in India actually outsource parts of their back office to other Indian service providers, often at a slight price premium. Why? Top answer is focus. Sure, these companies have access to the same low cost labor and could keep the processes in-house, but chose to do so because their business objective is focus. The message here is to spend the time to build strong linkage from the business objective to the business strategy to the outsourcing strategy and finally to the deal structure with an outsourcer. Catastrophe strikes when the strategic misalignment becomes profound enough for the client business to suffer strategic restrictions because their outsourcing relationship was optimized for a different business objective and can’t change fast enough to meet the needs of the business. 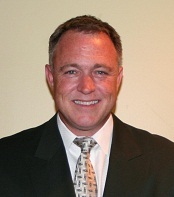 Lee Coulter (pictured) is Research Fellow and Distinguished Analyst for Horses for Sources. Lee supports Horses for Sources' enterprise customers with their outsourcing and shared services strategies - you can read his fill bio here. Way to come out of the gates, Lee. Outsourcing is NOT a strategy - I fully agree. Definitely not a strategy unto itself. Outsourcing is also not a place to dump a problem that the organization has not had the appetite to address. A third party will not be able to drive the tough decisions that the organization has shied away from making. If the purpose or rationale is not clear, the outcome will not be pleasant. Thanks Tony, since innovation is tough to deliver on, I tuck it under leveraging scope. That implies that you can leverage a providers much larger scope and ostensibly should be able to get some innovation out of that. What we both know is that this is always promised, rarely delivered to the delight of most clients. I actually do a half day workshop of contracting for innovation in outsourcing. It can be done, but takes a special investment, and separate governance. Milt, I am sometimes at odds with the provider community on this very point. I usually advocate doing an internal shared services initiative for at least 18 months before considering using a provider. This obviously takes some big productivity percentages out of a potential deal for the provider (as the client gets some early benefits), but that is really secondary to testing the "organizational stomach" for this kind of work. Once you sign on the dotted line with a partner, it is tough going if you find the organization loses their appetite for the change required to make this stuff work. Flipside is (and I have actually been through one of these) that sometimes there is a flash of leadership clarity and self-honesty that results in a brief realisation - "we don't have the appetite, but if we sign up with a partner, they will force us to change, and we really do need to change". Those deals are tough on everybody, particularly the provider who gets blamed for every blip, but it can be an intentional move, and it can have the long term intended effect. Just leaves a lot of broken glass, and low probability of renewal with the same provider.